It was said that one could always find Dr. James Jackson during his rounds by following the cheap cigar buds left behind at his patient’s homes. Dr. Jackson enjoyed a cheap cigar called the “Cinco”. Even he would joke and call them “Stinko” given the pungent odor they would emit. It was his practice to leave his cigar on the porch railing before entering the home of his patient. He would often forget to grab it prior to leaving for his next stop. As the official physician of the FEC and the Royal Palm Hotel, Dr. Jackson kept very busy. He was not only known as Miami’s first physician, but he was known for always being on the move. In September of 1916, Dr. Jackson’s home and office made the news for also being on the move. Like so many other pioneer Miamians, Dr. James Jackson was made aware of the area following the freezes of 1894 and 1895. At the time, Dr. Jackson was a young physician practicing medicine in Bronson, Florida with his father. Bronson was a small town that experienced a mass exodus when the freezes of 1894 – 1895 destroyed the citrus industry. It was around this time that Dr. Jackson met J.R. Parrott, Flagler’s right hand man, who offered Jackson a job to be the Florida East Coast Railroad surgeon at the soon-to-be terminus of the railroad at Biscayne Bay. In April of 1896, Jackson decided to take a trip to check out the place he would call home if he chose to take the job. Dr. Jackson took the train to Fort Lauderdale and then traveled to the mouth of the Miami River by a small steamboat. The availability of places to stay were scarce. There was a moored steamboat called Rockledge that many newcomers would stay. The Hotel Miami was still under construction. There were more people arriving than the area could accommodate. Jackson walked north on Avenue D (today’s Miami Avenue), and began to inspect the area that would become Miami. In less than an hour, Jackson walked the length and width of what had been developed at that point. Disappointed in what he saw, he went back to the landing to determine when he could catch the next boat back to Fort Lauderdale. He was informed that there wouldn’t be any transportation to Fort Lauderdale until the train arrived a few days later. Resigned to staying until the train arrived, Dr. Jackson took the opportunity to get to know the early settlers. He became very impressed with the enthusiasm of the area. By the time the train arrived on April 15th, Jackson had made the decision to take the job and relocate himself and his wife to the wilderness that would become Miami. In September of 1896, Dr. Jackson joined his wife in Jacksonville to bring her to Miami. Initially, they lived in a temporary residence at Hotel Miami. The hotel was built by Julia and Harry Tuttle and didn’t officially open until January of 1897. However, even though the hotel wasn’t completed, it accommodated guests prior to its official opening. After a few weeks at the Hotel Miami, the couple moved to a loft above a store on the west side of Avenue D. On January 1st, 1897, they moved to a cottage in town and later that year moved to a house on the southwest corner of Twelfth Street and Avenue B (renamed to Flagler Street and SE Second Avenue, respectively). This home would later become the location of the Olympia Theater on Flagler Street. While sitting on the porch of the home and gazing at the pine land that was diagonal to their property, Mrs. Jackson convinced Dr. Jackson to make an offer for that lot which was located on the northeast corner of Twelfth Street and Avenue B. The lot was owned by Julia Tuttle and it was one hundred feet on Twelfth Street (Flagler Street), by one hundred forty feet on Avenue B (NE Second Avenue). The Jacksons bought the property from the Tuttles for $2,500. Spanning the summer to the fall of 1899, the Jackson’s built the home that their family would live in for almost 20 years. The home would sit right on the corner of Twelfth Street and Avenue B. 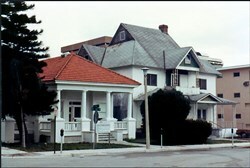 The Halcyon Hotel was built in 1903 and would sit directly west of the Jackson Home. The Halcyon would remain at this location until it was demolished in June of 1937. The Alfred I Dupont building was built where the Halcyon Hotel once resided and still remains there today. In 1905, Dr. Jackson decided to build his office directly behind (to the north), his home on Avenue B. Both of these buildings would serve Dr. James Jackson well until he decided to move out of the city to the Brickell neighborhood. Jackson leased the land to a developer that built a theater and office building. As part of the lease arrangement, Dr. Jackson acquired a contract for a lifetime, rent-free office in the building which was erected there. However, Dr. Jackson did not want to see his home and office demolished. At first, he tried to sell both buildings, but could not find a buyer. He owned property on Ocean Beach (Miami Beach). He felt that if he couldn’t sell his home, he would move his home and office across the bay to that property. While it was common for residents to move from home to home, it wasn’t common for an entire house to be moved. There were a couple of examples of buildings being moved from Lemon City to downtown Miami around the founding of the City of Miami. A rooming house called the Al Fresco was one of those buildings. It was moved from Lemon City to Avenue B and Sixth Street. However, it was considered a lot lighter and less complicated to move than Dr. Jackson’s house. Part of the complexity to this move was the large brick chimney which supported four fireplaces on the interior of the home. 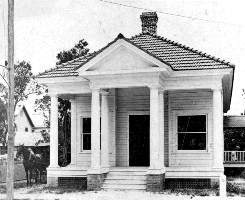 On August 19th, 1916, the Jackson’s house was rolled off the property and placed on Twelfth Street (now Flagler Street). It was brought east to the Bayfront and placed on a barge to be transported across the bay. A month had passed and the workers were completing preparations to move the house. However, on September 16th, H.T. Whaler decided to purchase both the home and the office from Dr. Jackson. Instead of moving both buildings across the bay to Ocean Beach (Miami Beach), Whaler changed the destination to his property on Hibiscus Drive and 24th Street. The streets are now called Brickell Bay Drive and Twelfth Terrace in what is now referred to as the Brickell neighborhood. H.T. Whaler was also an early Miami Pioneer. He was considered the first jeweler in Miami. At the time he bought the Jackson buildings, he was in the business of providing telephone service to Miami Beach. Whaler was the fire chief for the Miami Fire Department, as a volunteer, from 1898 to 1900. 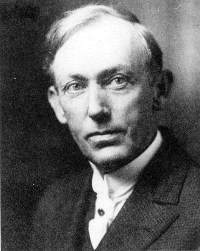 In addition, Whaler was the general manager of the Miami Telephone Company in the mid-1910s. Around 1915, while in his role with Miami Telephone Company, Whaler personally built a small exchange and installed a Western Electric magneto switchboard to provide the new City of Miami Beach with its first telephone service. On July 1st, 1918, the phone service equipment and property provided by Whaler was purchased by the South Atlantic Telephone and Telegraph Company. Like so many early pioneers, Whaler was involved in many enterprises. Following the lease of their downtown property and the sale of their home and office to H.T. Whaler, the Jacksons moved into their new home at 1627 Brickell Avenue. The home and location was fitting for the Jacksons given their social status in Miami. At the time, Brickell Avenue was the location for many fine estates by very reputable members of Miami society. In addition to his medical practice, Dr. Jackson was involved in a variety of professional endeavors. He was very involved with the planning and building of the Miami City Hospital. He was appointed as the first president of the Florida State Board of Medical Examiners for Miami. 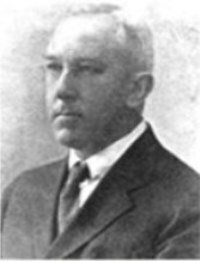 He served on the board of directors for the Southern Bank and Trust Company in 1912, and then later on the board for the Bank of Bay Biscayne in 1921. Unfortunately, he was a big shareholder in the Bank of Bay Biscayne and lost money when it went under. Dr. Jackson and his wife were very active socially as well. They would attend the opening ball for the Royal Palm Hotel through the years. 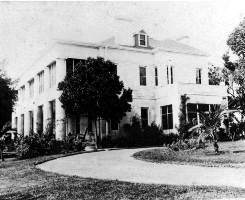 Mrs. Jackson was also one of the founding members of the Miami Women’s Club and Library in 1900. She was appointed Vice President and later President of the social club. 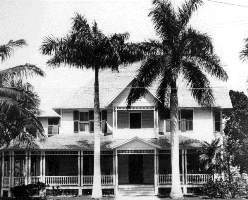 The Jacksons were living at the 1627 Brickell Avenue home when Dr. Jackson passed away on April 2nd, 1924. He suffered from a variety of ailments that had him ill for a while in 1924. When he passed away, all of Miami went into mourning. Stores displayed his portrait in remembrance. At the request of Mayor E.C. Romfh, businesses closed on the day of his funeral from eleven AM to one PM. Also, schools let out so that children may attend the funeral with their parents. On April 8th, 1924, a resolution of the Board of Trustees was presented to the Miami City Commission to change the name of the Miami City Hospital to The James M Jackson Memorial Hospital. The name of hospital still carries Dr. Jackson’s name today. Dr. James Jackson is buried in the Miami City Cemetery. Next to his grave is his hitching post that he used to tie his horse. The Jackson’s Brickell Avenue home is long gone. Today, 1627 Brickell Avenue is the location of the Imperial at Brickell Condominium that was built in 1983. It isn’t exactly clear how long the Jackson family remained at the Brickell address following the death of Dr. Jackson, but other owners of the 1627 Brickell Avenue address included Dr. Thomas W Hutson in the 1940s, and Puerto Rican Millionaire Jose Ferre and his wife from 1952 until at least the late 1950s. The former Jackson house, purchased by H.T. Whaler, was moved to 186 SE 12th Terrace. It became the home for Whaler’s family for a while. Ownership of the home changed hands a few times through the years. As the Brickell neighborhood began to degrade, so did the value of the home. A February, 1950, Miami News article shared the story of Mrs. Rose Killcrece. She had just sold the old Jackson home at 186 SE 12th Terrace and bought a car with the proceeds. After buying the car she had $829 remaining. She decided to go to a “filling station” at 14th and Collins, on Miami Beach, to get gas. According to the article, someone broke into her car and stole the $829 that she left in the glove compartment. Based on this story, the place must have only been worth a couple thousand dollars in 1950? The home was later given a stucco finish and divided into apartments. By the late 1990s and early 2000s, the building was referred to as “a magnet for drug addicts and homeless people”, by John Scurtiss. Scurtiss represented the owners of the property and was the leading the charge to demolish the house despite resistance from the Dade Heritage Trust. Dade Heritage Trust was trying to get preservation status for the house when a demolition crew began knocking the building down on June 1st, 2001. Falling debris on the Dade Heritage Trust office gave DHT members a reason to stop the demolition temporarily. However, despite efforts to stop the demolition permanently, the old Jackson home couldn’t avoid destiny with the wrecking ball. It survived a move by barge in 1916, but didn’t survive the completion of demolition on Tuesday, June 5th, 2001. It is now the location of the Solaris Brickell Condominium. The Jackson office, also referred to as the surgical center, still stands today. It was restored to its original form and was given historic designation in 1975. It has been the home to the Dade Heritage Trust for quite some time. The neighborhood that the Jackson Surgical Center sits was once referred to South Side. It was called Southside because the neighborhood was located south of the Miami River. It has been re-branded as Brickell during the last several building bursts. Every square block is being sold to the highest bidder and built into a condominium forest. The survival of the Jackson Surgical Center provides a remnant of of the old Southside neighborhood in the modernized and evolving Brickell neighborhood. It is nice to walk the area and still see evidence of Miami’s past. While not everyone may know about the contributions of Dr. James Jackson, at least they will see the Dade Heritage Trust building as resilient and as a survivor. It traveled by barge almost 100 years ago to take its place in the spot it now resides. Hopefully, it will continue to stand proudly on the corner of Brickell Bay Drive and SE 12th Terrace as reminder that Miami does have a past and it is worth preserving. 2 Comments on "Dr. Jackson’s House & Office Moved from Downtown Miami to Southside"
Such a wonderful read. 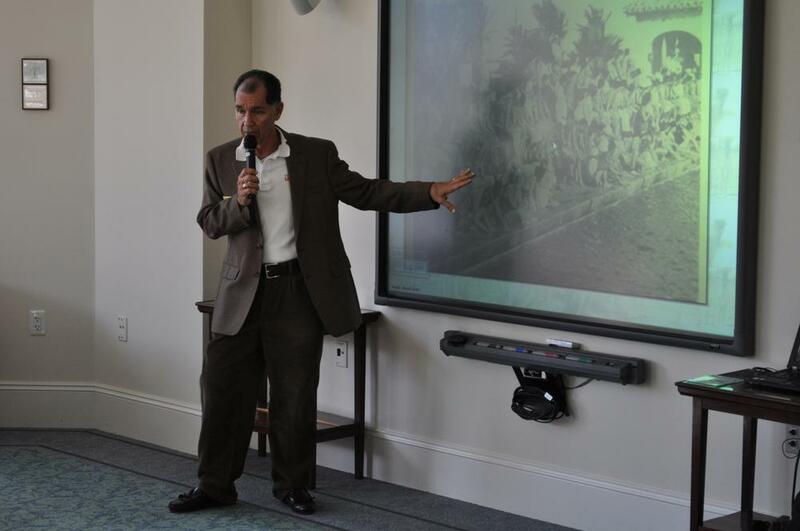 Everyone living in Miami should read and learn to appreciate Miami’s history.